Help K-5 students answer this essential question (and meet the Common Core State Standards) with the Teaching STEM lesson plans for this mentor text. Essential Question: What would a million of something look like? Unit Summary: Students will examine the essential question, “What would a million of something look like?” They will explore numbers of increasing size through the enlarging number of jelly beans pictured in the book. They will color sets of five jelly beans and practice skip counting by five as they complete each row on the graphic organizer. The Library Activity begins on page 182. The Collaborative Teacher Activity is on page 184. 1. Give each student ten jelly beans or ten bite-sized candies. Have them write story problems and the number sentences using subtraction as they eat them. 2. Bring in a package of beans or peas. Ask the students how many beans are in the package. Then give a handful to each person until they are all distributed. Ask them to count their beans and write it down. Then have the students make piles of tens and re-count the beans. Ask which way is easier. Count the beans by 10s for everyone in the class to get the total number of beans. Then take a set amount of beans and write number sentences. You can do this with numbers up to 20 to review addition and subtraction or make larger numbers. Group the students and have them work together with more beans. Copyright © 2014 Shirley Duke All Rights Reserved. What allows animals to live in a specific water ecosystem? Students will examine the essential question, “What allows animals to live in a specific water ecosystem?” Students will be grouped and assigned a specific ecosystem chosen from the suggested list. They will conduct research using a variety of sources to identify important information about an animal that lives in their assigned ecosystem and identify the adaptations the animal has that allows it to successfully live there. 1. Investigate James Cook and other early ocean explorers. Create a timeline of the early explorations and where they took place from journey’s start to end. Add information about the explorers. 2. Look up cultured pearls and read about the process for creating these pearls. Write a description of how it’s done and the science behind it. 3. 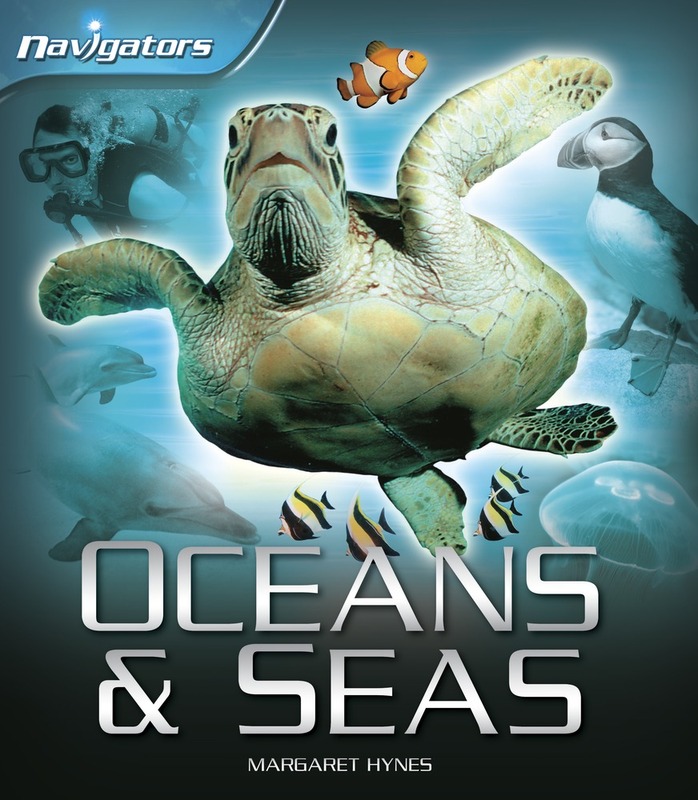 Explore the issues facing oceans today. Name the largest issues and assign students to research and present the information in a debate-style setting. Exciting news! Anastasia Suen and I co-wrote a new book. It’s based on my blog and is packed full of lesson plans, STEM, mentor texts, and the Common Core from ABC-Clio. Stripes of All Types follows animal life with stripes as part of their coloration in their native habitats. 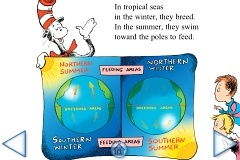 The book reveals simple information in a rollicking rhyme and bright art. It takes the reader from the ocean to land to a familiar striped animal at home. Define the word “camouflage” in nature as protective coloring that helps animals hide in plain sight. Then show these images and together locate the animal. You may have to point out where it is in some pictures. Discuss why animals need to use camouflage and the ways it helps them. 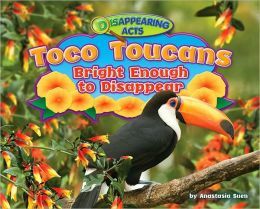 Pair the book with the nonfiction book Toco Toucan Bright Enough to Disappear by Anastasia Suen. 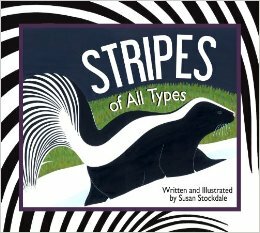 Compare the ways the toucan uses colors to the stripes in the Stripes of All Types book. For a Common Core experience, discuss the main idea of the book. Use each spread and talk about how that animal’s stripes are located and positioned. Ask the listeners why animals have stripes. Then show the spread with the striped images. Identify each picture in turn to review the animals’ names and where they live. •CCSS.ELA-Literacy.RI.K.1 With prompting and support, ask and answer questions about key details in a text. •CCSS.ELA-Literacy.RI.K.2 With prompting and support, identify the main topic and retell key details of a text. 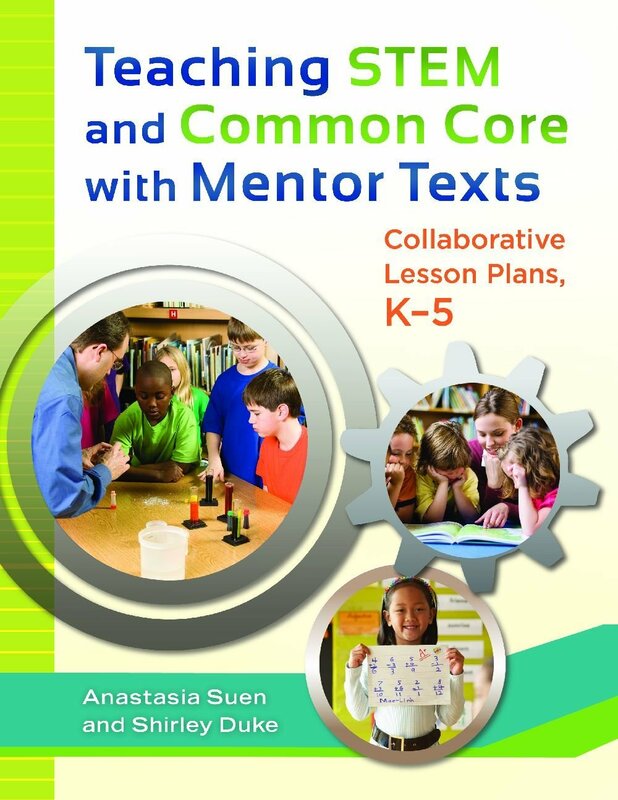 •CCSS.ELA-Literacy.RI.K.3 With prompting and support, describe the connection between two individuals, events, ideas, or pieces of information in a text. •CCSS.ELA-Literacy.RI.K.5 Identify the front cover, back cover, and title page of a book. •CCSS.ELA-Literacy.RI.K.6 Name the author and illustrator of a text and define the role of each in presenting the ideas or information in a text. Look up the CCSS to see the remaining Literacy.RI.1-2 standards. Copyright © 2013 Shirley Duke All Rights Reserved. He wondered about questions relating to light, its speed, and how to prove these sorts of things. And while people had begun to think the Earth turned, no one had proved it—until Foucault did. Even though he’d received honors for his work, he wasn’t formally trained and it wasn’t until three years before his death that he was granted membership into the French Academy of Science. The book contains an author’s note, glossary with pictures of the instruments, and bibliography. In this day of Common Core State Standards, this book begs to be included in classroom and library lessons. It would make a wonderful introduction to a lesson on Earth science, gravity, and the Earth’s motion. The invention could be compared with that of another early scientist and used as a way to show the scientific method. Determine the main idea and find examples of how the story supports it. Look up the tools listed in the vocabulary to find more about how they worked to support academic and domain-specific word acquisition. Compare the book with a scientific explanation of the Earth’s motion and discuss they different ways the authors used to explain this principle. With the Next Generation Science Standards now available, the book fits perfectly with the Motion and Stability: Forces and Interactions and Earth’s Place in the Universe strand. It would kick off a fun lesson to begin a study of these topics in the relevant grades. Nonfiction is a terrific way to liven up lessons and provides a fun introduction to many topics. It gives teachers, parents, and librarians the opportunity to show children the pleasure and fun of nonfiction. This site has a good biography of Foucault. Categories: STEM Friday round-up | Tags: STEM Friday | Permalink. Welcome to STEM Friday. Add your links in the comments and check out all the great STEM offerings today. This alphabet book is filled with short fact blurbs and large, exquisite photographs of African animals centered on the alphabet theme by the authors, who have spent more than 25 years in Africa. Familiar and not-so-familiar animals are presented in the spreads and come following a map of Africa showing the terrain and a short introduction about finding more words in the text that begin with that letter. Readers and listeners will find the pictures appealing and the layouts draw the reader’s attention to some of the “Did You Know” text boxes. Back matter includes more short facts about each animal presented, a glossary, and more information and web sites. The appeal of this book is that it appeals to a wider age range than most alphabet books and would be a fun read, reference, introduction to animals, or an excellent way to introduce Africa. From pictures to facts, this is a terrific book and would make a great gift, too. Make an alphabet book of animals from your state, region, or country. Look up animals and make a book as a group of individually. If you are working with young children, assign each child a letter of the alphabet to research. Write 2-4 facts about the animal, draw a picture, put it in a category, and try to use alliterative words in the animal facts. National Geographic has animal information for kids. This site has child-friendly information. Welcome to STEM Friday. Please leave your contribution in the comments. I’ll add the links throughout the day. Roberta at Wrapped in Foil has Creep and Flutter: The Secret World of Insects and Spiders by Jim Arnosky. 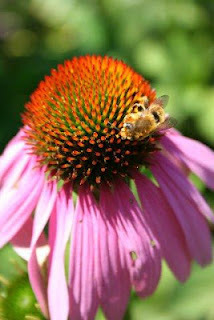 Sue at Archimedes Notebook is focusing on pollinators… think you can pollinate a flower as well as a bee can? Find bee-friendly activities here. Rourke Educational Media is featuring the new books in their line, My Science Library, including The Night Sky, Skeletons and Exoskeletons, The Scoop About Measuring Matter, Let’s Investigate Light, Eating and the Digestive System, and The Amazing Facts About Sound. Jeff at NC Teacher Stuff, has a review of A Whale of a Tale, which is a new iPad app. Rocks and Minerals is a terrific introduction to rocks, the rock cycle, and minerals. In a simple, fun way, Steve Tomecek, also known as “The Dirtmeister,” explains rocks through the Earth’s formation and subsequent cooling, the building blocks of rocks called minerals, and the three groups of rocks and how they formed. Also included are examples of how people use rocks, erosion and sedimentation, and fossils embedded within rocks. The conclusion diagrams the rock cycle. The book ends with an easy to do experiment to show how conglomerate rocks are formed. The illustrations are shown through the eyes of an unnamed cartoon figure that frolics about as a guide. This book would be a good read-aloud or one a reader might want to read on his or her own. The rocks depicted in the art are shown in large photos that are labeled and a pronunciation is given for the hard-to-say names. This good information would be an excellent way to begin a study of rocks and minerals. Try the activity suggested in the book and make a conglomerate rock. Then use the same technique to make a sedimentary rock with a fossil inside. You may want to use a smaller cup for this activity. Use the glue, but include several layers of sand, dirt, and other material with a different grain size (like powered clay, plaster of paris, or even salt) to make the different layers. Place a leaf or small object covered in petroleum jelly or small object between two of the layers. Let the rock dry and open it. Break it apart and see if you can find the fossil. Another way to do this is to use plaster of paris for the fossil layer. Make the layers, but let the plaster layer dry. Cover the layer and fossil object with petroleum jelly, put the fossil object on top of the plaster layer, and add more plaster and layers. Let this dry and break it open. Observe the fossil imprint. Then talk about which layer is the oldest and youngest. The bottom layer would be oldest. National Science Standards: Earth’s material and system. 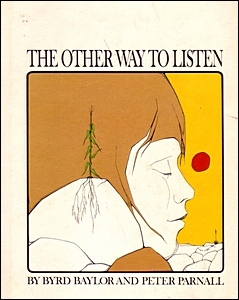 Book provided by publisher for Librarians’ Choices Review Committee. Wecome to STEM Friday, hosted by SimplyScience. Add your links in the comments to participate and read about all the great STEM books we’re reviewing. Today I have the one Roberta presented last week–that’s because it’s so good! Author and engineer Enz explains her interest in engineering and conveys her excitement about the subject. With the emphasis on STEM (Science, Technology, Engineering, and Mathematics) today, it’s great to find a book that addresses engineering for readers under twelve. This book does just that! 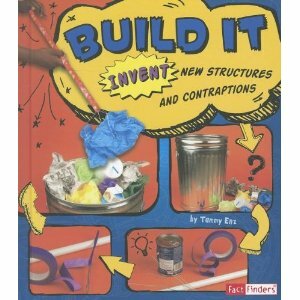 Build It focuses on how engineers go about solving problems using six steps of inventing. It explains the process of problem solving from an engineering point of view and then goes on to show readers how to solve specific problems that might occur in their world. The two to three pages dedicated to each problem list the steps and show a photo of what each step involves to create the new invention. The projects range from building a newspaper fort to making a pet watering dish. The projects are presented in the problem solving process and the photos are numbers for ease of following the directions. New vocabulary is defined on the page and in a glossary. Each project also includes a sidebar telling about a success that came from a failed project, like how cereal flakes were discovered by the Kellogg brothers. The variety of projects will suit most readers and can be made with easily found materials. A few of the projects have steps that will require a minimum of adult help, but most of them can be done by the readers of this age. Back matter includes a glossary, read more, internet sites, and an index. It’s good to see engineering defined and explained in a book for both girls and boys. 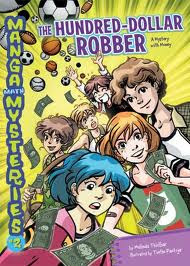 It’s an excellent summer reading book but extends to the school year, as projects could be done in classes with groups. The relationship of math, science, and technology is evident and practical. What a great way to interest readers in STEM! Try one of the activities from the book. Identify the problems and success you have. Then identify a problem you’d like to solve and use the 6 steps to help you solve it. Analyze what worked or didn’t work and show someone your ideas. This excellent site has definitions, activities, and explanations about engineering. This site has additional activities for kids. Here are today’s STEM titles. 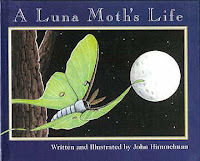 Sue at Archimedes Notebook has A Luna Moth’s Life and Luna Moths. Pam at Nomad Press has Robotics. Roberta at Growing With Science has Night Life of the Yucca and many other books in honor of National Moth Week. 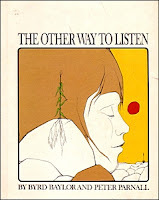 Amanda at tamarck writes has The Other Way to Listen. 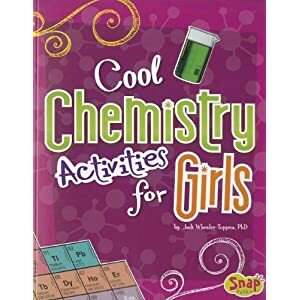 Anastasia at Booktalking has Cool Chemistry Activities for Girls. Categories: STEM Friday round-up | Tags: Build It, STEM Friday | Permalink.